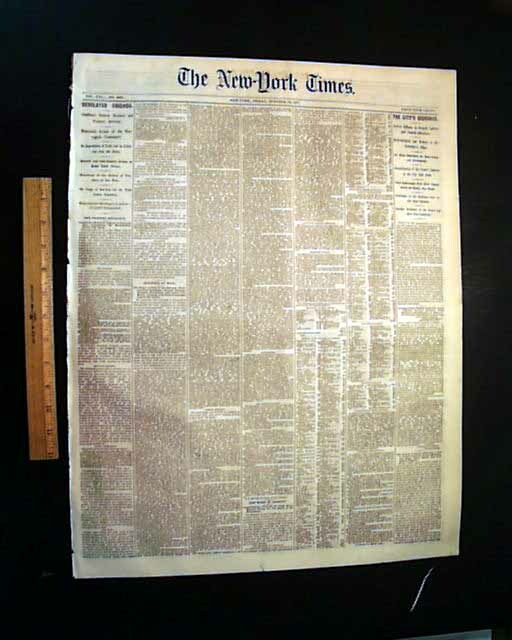 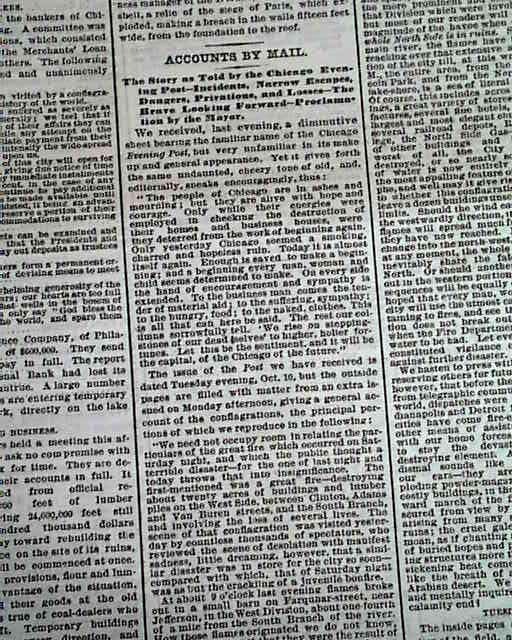 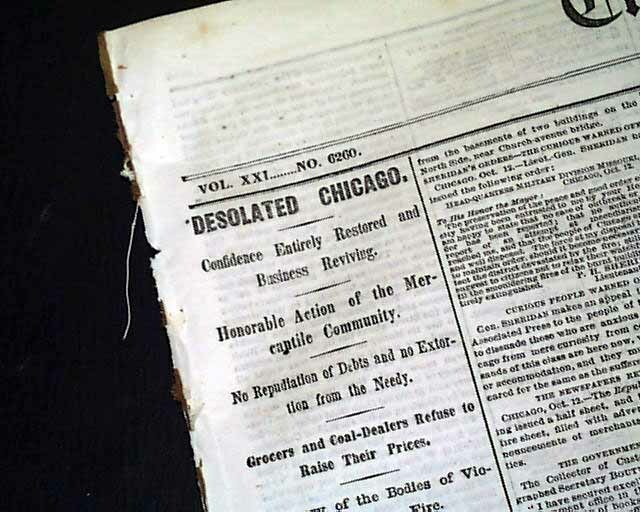 Front page first column heads include: "Desolated Chicago" "Confidence Entirely Restored and Business Reviving" "Honorable Action of the Mercantile Community" "No Repudiation of Debts & Extortion from the Needy" "Grocers & Coal-Dealers refuse to Raise Their Prices". 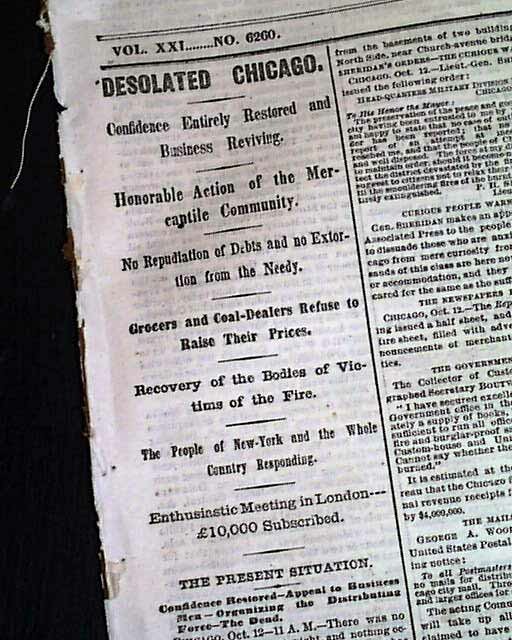 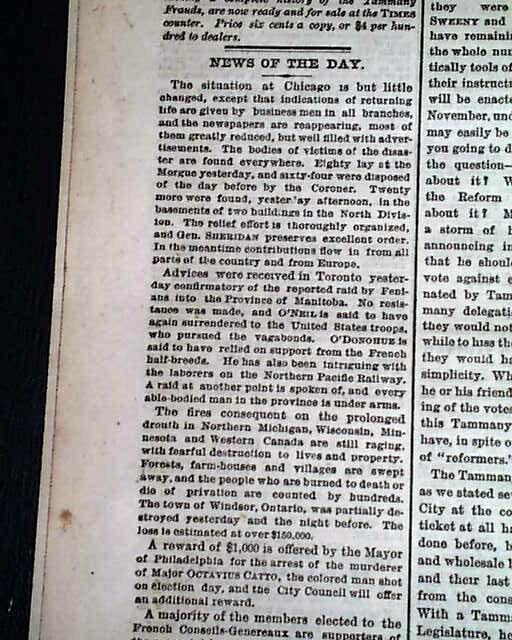 Over half of the front page is taken up with text on the Chicago Fire. 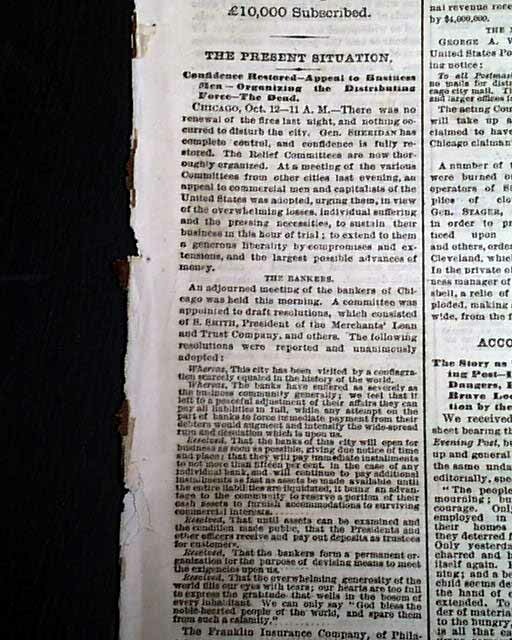 Eight pages, minor spine wear, nice condition.